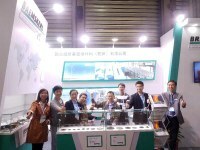 Bremskerl China exhibited again at PTC Asia in Shanghai between 31st. October and 3rd. November. More than 150 visitors came to our booth. We met a lot of new contacts from a wide cross section of the industry as well as existing customers. We presented BK1415 / 5510 / 4540 / 5710, some new strong materials for different application. The stand personnel included almost all BK China colleagues to give the best support to our visitors from China as well as Japan, Taiwan, Indonesia and many more countries. Thank you again for coming to our booth! We are looking forward to further upcoming projects and hope to welcome you again in 2018. This year, HANNOVER MESSE celebrated its 70-year anniversary. Represented once again with its own trade fair booth, BREMSKERL has been a consistent presence for more than 50 years. The focus of this year’s HANNOVER MESSE, in addition to the direct contact with new and regular customers, was particularly the presentation of new innovative materials. Considerable attention was paid this year to the latest TWINTEC technology. TWINTEC technology in combination with friction linings from the BK901X material series offers an optimised coefficient of friction level and increased temperature stability. A powerful combination for compact and high-performance brakes. With BREMSKERL 1415, we presented a newly developed high-speed friction lining in the field of highly resilient disc brakes. BREMSKERL 1415 was developed specially for applications with a relative friction speed of up to 80 m/s as well as a short-term temperature stability of up to 700°C. On the “Tag der Regionen” (“Day of Regions”) on Wednesday, WIN (Promotion of Economic Development for the town of Nienburg/Weser) extended an invitation to their trade fair booth on behalf of Ms Kupsch. It was a fascinating event and presentation for and by regional companies, which were positively received by all participants. The personal and direct contact between the companies was a particular focus. “For more than 50 years, HANNOVER MESSE has been and shall to us remain the industry’s largest and worldwide most important gathering.” summarises Stefan Purbs, Head of Sales at BREMSKERL. With this in mind, we would like to thank you for your visit and look forward to convincing you again in 2019 with new innovative materials from BREMSKERL. This exibition, well dedicated to all involved operators in the field, has counted over 6.500 visitors in the last 2014's edition, and has offered also in 2016 to all people working in this industrial area a unic chance to get updated about producers as well as equipements, services and components finalized to the railways application. Just like the previous years, also this last edition has been attended successfully by CATAI/BREMSKERL with a booth exposing several friction materials and braking systems developed specifically for this market in which technology as well as innovation has always been a must. Many potential and effective customers enjoied the possibility to meet at the CATAI/BREMSKERL stand with professional people with whom sharing opinions and experience, but also discussing about product trends and forecasts for the future. We will all work in a way that the new commercial contacts originated by the participation to this important exibition will develop in new mutually beneficial business. BREMSKERL U.K. took again part at the ever-growing CV Show in Birmingham 2016. The focus on the three days were our numerous areas of application like crane vehicles, special military vehicles and busses, as well as trucks and trailers. "We are very satisfied with the CV Show 2016 and happy that our material BREMSKERL 8010 is so well received from our customers. The quality of enquiries was very high this year." 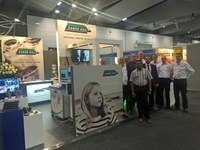 sums up Dave Whitmarsh CEO BREMSKERL U.K.
Bremskerl participated in Ausrail 2015 in collaboration with Sabre Rail, the Australian Distributor for Bremskerl Rail Parts. The show was well attended by decision makers in the Freight, Intercity and Suburban sectors and it was a good first step for both Sabre Rail and Bremskerl in this growing market. Bremskerl once again attended the PTC Asia show at the end of October (stand No N3-L1). Despite heavy rain, the enthusiasm of all our visitors was not dampened and we would like to extend a BIG thank you to all who made the effort to visit our stand. We had a good mix of existing and New customers at our stand, which was excellent for us and made our attendance very worthwhile. The show was a fantastic platform for us to present our most recent material development, TWINTEC which many of our visitors took great interest in and we made clear our intensions for continuous and innovative developments into the future. For us the show was a great success, and we now look forward to maintaining ongoing discussions with all of our contacts both new and old! Bremskerl UK have placed great confidence in the RISQS accreditation system, to support our objective of increasing our recognition and exposure in the UK Rail market sector. Achilles RISQS is a single entry point for suppliers to the rail industry. Buyers of products and services throughout the GB rail industry use RISQS as its supplier qualification service. This system helps suppliers sell in to the GB rail industry by providing an open, fair and transparent way for them to be formally recognised as capable providers of products and services. This means RISQS supports Network Rail, Transport for London, passenger and freight operating companies, rolling stock organisations, main infrastructure contractors and many other buying organisations in the management of supply chain risk. BREMSKERL is extending its technology centre with an additional dynamometer for industrial applications. The wide range of different test parameters includes sliding speeds of 0.1-80 m/s and surface pressures of 0.1-10 N/mm. On this basis, BREMSKERL materials can be tested in even more detail and more extensively. On the one hand, extensive part lining tests can be carried out with various mating materials. On the other hand, for improved and faster material selection/development it is possible to test BREMSKERL materials in our customers' own units; so that all individual customer requirements can be satisfied in future as well. The states of California and Washington have passed laws regulating various levels of raw materials in friction materials. The laws are designed to protect the environment and require manufacturers to test and register their friction materials to offer their products for sale. Marking of friction material edge codes and packaging with compliance information is required. Compliance was required by California on January 1, 2014 and Washington on January 1, 2015. Compliance is required by January 1, 2021. Bremskerl 8040 ALREADY meets this requirement. Compliance is required in California by January 1, 2025 and Washington by January 1, 2023. Bremskerl 8040 meets “Level B”. Further, all friction materials produced by Bremskerl are 100% Non-Asbestos, RoHS and REACH Compliant. The LeafMark is a trademark of The Motor and Equipment Manufacturers Association. For further information on friction material registration regulations, LeafMarks and their use, please visit NSF at http://www.nsf.org/services/by-industry/automotive/friction-material/friction-material-registration. BREMSKERL China participated again in M-tech at Tokyo Big Sight between 24th and 26th June. Base on the experience of last year we prepared Japanese version of our company brochure and all information which have been shown. We attracted more than 60 visitors during the three fair days. Thanks to all who took the time to visit our stand. And hope to see you again in 2017! 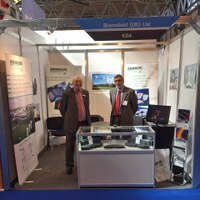 RAILTEX 2015 - BREMSKERL U.K.
As this was our very first Railtex we were a little unsure of what to expect, but over the course of the 3 days we were pleasantly surprised at the quality of the visitors to our stand. From our perspective this was an excellent event for Bremskerl UK to reinstate its presence in the UK Rail sector, and during the course of the 3 days we successfully generated positive contacts for further progression going forwards. Based on the successes of this show going forwards we will be making further consideration in to attending Infra-Rail 2016 and also a repeat visit to Railtex in 2017. Thanks to all who took the time to visit our stand, and we look forward to speaking with you in the near future. Lower Saxony Prime Minister Stephan Weil took the chance to get to know us better in the course of his Hanover Fair visit. The Nienburg/Weser region was already well left in memory to him because of the popular asparagus. The visit was informed about us as a private middle class company and our product presentation at the booth. In particular, our new TWINTEC technology was the focus of attention. Mr. Purbs informed Mr. Weil on the autonomy and origin of our company and ventured a look into the future. Mr. Prime Minister, thank you very much once again for your visit and interest in BREMSKERL. The Hannover Messe 2015 was also in this year a highlight for the entire drive technology. BREMSKERL showed up again with new innovative products in the field of industrial applications. The focus was on the new TWINTEC technology, consisting of a specially developed elastic underlayer with an individual friction lining. We also presented the new developed materials BREMSKERL 5380, a high performance friction lining for dynamic applications and BREMSKERL 8983 which can be used as a substitute material for metal carriers. We particularly pleased with the positive feedback from our customers, as well as the interesting discussions at our booth. 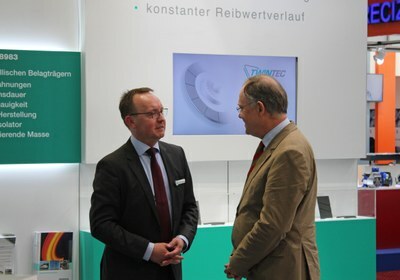 We also had the opportunity to welcome Lower Saxony Minister Stephan Weil at our booth. Taken together, we are more than pleased with this year´s Hannover Messe. We look forward to further upcoming projects and hope to welcome you again at our booth in 2017. 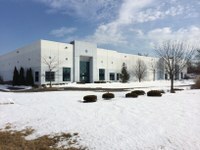 Bremskerl North America, Inc. is excited to announce that on March 1, 2015 we will officially relocate to 1291 Humbracht Circle, Bartlett, IL 60103. The new 50,000 square foot facility will allow us to meet continued demand for our RoHS and REACH compliant friction materials and introduce new products to the market. The facility provides approximately 40,000 square feet of additional space that will allow us to expand our production and distribution capabilities here. Our team is excited for this next step and appreciative of the continued support our customers have shown since opening our North American facility in 2005. The move follows ISO 9001:2008 certification of our North American facility in November. The customer service and technical support phone number will remain the same at (800) 939-4047. We took part in this year's PTC ASIA in Shanghai from 27.10 - 30.10.2014. Our booth was located in Hall E1, near the main entrance. Around 100 visitors, such as Mayr, Intorq, Altra, Reach, Precima, Emerson, etc., came to our booth to get the latest news of our company and products during the four fair days. We presented the advantages of our products to the visitors. And many of them showed great interest in our customized service. Welcome to send your requirements to us. And Looking forward to see you again in 2015! September was THE trade fair month in 2014. 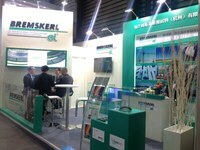 BREMSKERL was represented with its own stand at three trade fairs, some of which took place at the same time. The automechanika trade fair in Frankfurt was the kick-off event. From 16. - 20.09.2014 automechanika presented itself as Europe's leading platform for innovative car parts and accessories on the international aftermarket. Around 140,000 trade visitors from 173 countries used the five trade fair days as an opportunity to find out more information on products and new technologies. We presented our current product range from the commercial vehicle sector and innovative materials at our stand. What's more, prospective customers could also get an idea of the new packaging layout for the drum and disc brake linings. Three different product qualities, packaged as golden, green and silver line, will help our customers in the future to easily find the perfect material for their applications. The leading trade fair for rail vehicles, the InnoTrans in Berlin, was held the following week. 2,758 exhibitors, including BREMSKERL, from more than 50 different countries presented their product innovations and service concepts. Our stand focused on the UIC product programme for disc brake linings, as well as the brake blocks currently in development for new vehicles (K) and stock vehicles (LL as a replacement for cast-iron brake blocks). 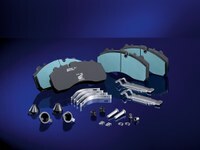 Additionally, our trade fair visitors could get an idea of the various applications of our brake linings worldwide. Parallel to InnoTrans in Berlin, the WindEnergy Trade Fair 2014 took place in Hamburg for the first time. The premiere was a huge success. As the new trend-setting industry trade fair WindEnergy Hamburg clearly demonstrated its internationality. More than 33,000 trade visitors and 1,250 exhibitors from 6 continents and 47 countries are testimony to this. Our trade fair stand focused on tailored solutions for Azimuth and rotor brakes. Low-noise coatings, which are also easy to maintain and very resilient, were met with great interest from the prospective customers and resulted in our first time at the trade fair being a success. We hope to successfully participate in trade fairs in two years and are looking forward to the coming HMI trade fair in Hanover from 13-17.04.2015. We hope to see you there! 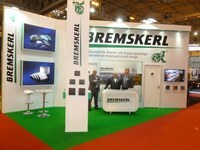 Bremskerl UK exhibited again at the NEC in Birmingham between 29th April and 1st May. We were able to meet with some new contacts from a wide cross section of the industry as well as meeting some of our existing customers . Interest in our BK8010 material remains high butenquiries were received for our full range , and the CV Show continues to surprise us with the extra contacts it brings. During the show we also had visits from a lot of prospective new customers in Ireland. Bremskerl UK continues to increase market share as more and more people recognise that quality product really does give cost saving in the long term. The stand personnel included colleagues from Germany so we were able to give up to the minute information to all our visitors. We plan to exhibit again at the CV Show in 2016 but there is no need to wait that long and the team at Bremskerl UK look forward to meeting potential new customers and existing ones at the Bremskerl stand at Automechanika in Frankfurt in September this year. Since 24 April 2013 the energy management system in accordance with DIN EN ISO 50001 has completely replaced the previous standard, DIN EN 16001, and will extend our integrated quality management system in accordance with ISO 9001 with a further important module. This will strengthen the on-going measures for improving energy efficiency in the future. Mr Nico Siedenberg has been entrusted with the coordination of the stipulated targets as the energy officer. We are looking forward to the upcoming implementation of the energy management system and the continuation of our internal policy of conscious handling of resources. The Autoexpo 2014 took place from 6th to 9th Feb 2014 at Pragati maiden Delhi. Our Stand attracted many visitors. We had visitors not only from India but also from our neighbouring countries i.e. Sri Lanka, Bangladesh, Afghanistan etc. Since awareness regarding asbestos free brake liners has increased in India, many of the visitors used this opportunity to discuss the problems they face with Non-Asbestos linings and also to learn about new technologies that Bremskerl have developed. Many customers for inquired about our “complete” Indian brake lining range in non-asbestos including the disc brake pads for Buses and trucks. With this in mind we have attached a list of all products to further help interested individuals and businesses and who were unable to visit us at the show. MasterPart Truck & Bus was founded in August 2011, to support the UK’s PSV & CV operators with parts from Market leading OEM brands. One of the mainstays of MasterPart´s business is braking and suspension products. In fact, one of the latest items it has added to its range is a new friction material for brake pads. Produced by BREMSKERL, it was trialled on Johnson Bros´ fleet before beeing sold. Developed specifically for buses and coaches, Jon Hale, Sales Manager of MasterPart, claims it lasts longer than others on the market, which effectively saves on costs. There is a lot of interest in it, and it is proving to be one of Jon´s best sellers. Mr. Ray Massey – BREMSKERL U.K.